That’s right. Do what it takes to get DeMarcus Cousins in Green. Yes, I know he is mercurial. Yes, I know he is a bad teammate and petulant. Yes, I know my analytics friends at FiveThirtyEight think he is a usage monster. I don’t care. He is a mega-talent and capable of giving the Celts the All-Star they so desperately need. As it stands right now, the Celtics are a good basketball team. With any luck, they will get a 3-5 seeded for the Eastern Conference playoffs, host Game 1 in Round 1, and make it to the 2nd Round. But without a) a reliable low post scorer, or b) someone who can create his own shot, this will be as far as they go. The popular logic in the NBA used to be that you need a big man to win. First the Pistons proved that wasn’t true, then the Warriors last year. What you do need however, is players that can take over a game, and create their own points when defenses lock down in the postseason. This is why the NBA model of a partnership (MJ and Scottie for example) worked so well. Shaq, Kobe, LeBron, and many others have proven that you need a running mate. The Warriors are also proving this. Newsflash: Steph Curry is a transcendent talent and should be considered a Mega-Star. For those that think the Celts can win like the Warriors, well, we are MULTIPLE pieces away. 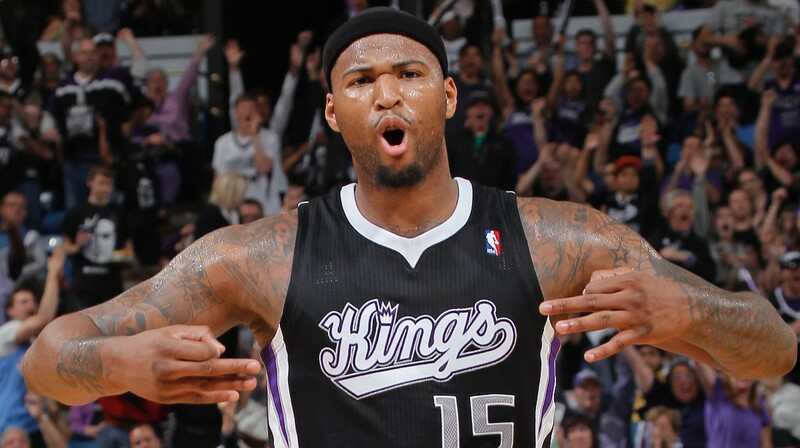 Back to Boogie Cousins – I would call up the Kings and tell them we will do what it takes to get him. Give up Isaiah? Yes. Give up Avery? Yes. Give up the Nets pick? Yes. Probably not all 3 – but do what it takes. In my mind: the Nets pick + one of the young guards + Evan Turner + an additional pick, should get the job done. They want Kelly or Jonas too? Okay. Then you have a starting lineup of: Isaiah, Marcus, Jae, Sully, and Boogie. Then at the deadline, you go out and pick up a shooter. I’d like to see what Brad Stevens could do with that kind of firepower. I would bet we all would like the results.